Home / STORE / Hearts / Wire Hearts. 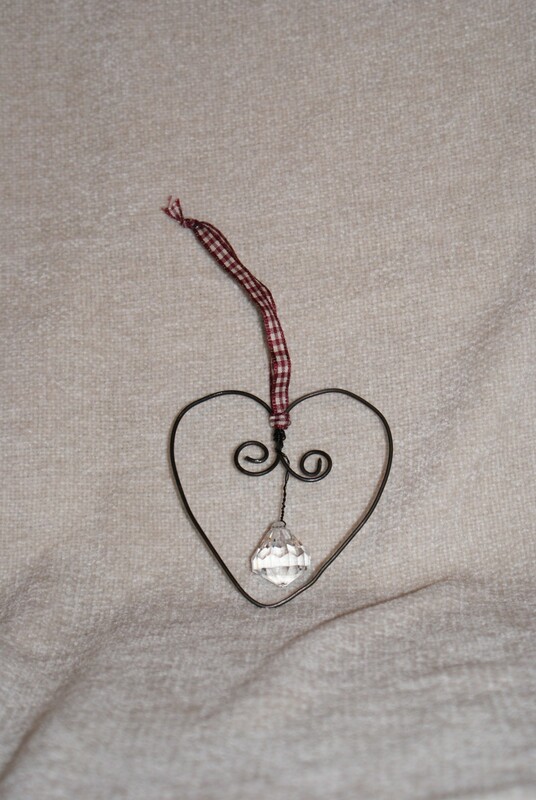 Charming New England style wire hearts hang from a red and white checked ribbon. 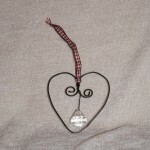 Hanging from the centre of the heart is a resin crystal drop.